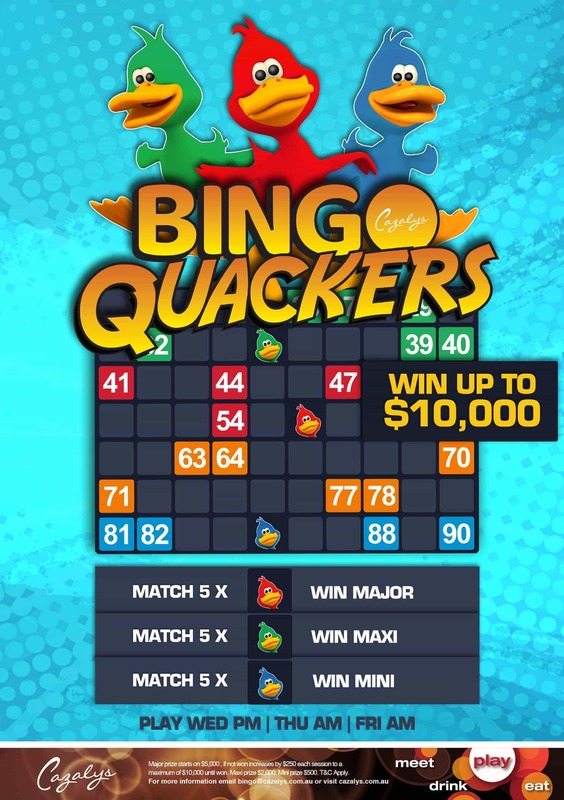 It’s sure to be a cracker at Cazalys Cairns Bingo Quackers! Line your ducks up to win. There’s Mini ($500), Maxi ($2,000) and Major prizes to be won. Major jackpot starts at $5,000 and increases $250 each session if not won to a max of $10,000. Play Wednesday night (7.30pm) and also Thursday and Friday mornings (9.30am). Bingo Quackers only at Cazalys Cairns! For more information email bingo@cazalys.com.au . T&C apply.